Is It Harder to Lose Weight When You Have a Cold or the Flu? You may consider the scale your friend after dealing with a cold or flu. Between your loss of appetite and fever, you may notice that you've lost a few pounds after your week of being sick. However, you may have a hard time keeping the weight off when you start to feel better. Consult your doctor to discuss your illness and diet. Although the duration of your cold or flu may vary, it usually lasts a week or less. If you've lost a noticeable amount of weight during that time, it's more than likely you haven't lost much, if any, unwanted fat. FamilyDoctor.org says if you lose more than 2 pounds in a week, you're losing more water and muscle than fat. You may not feel like eating when you're sick, but it's important to try to eat, or at least drink, for nutrition and hydration. Good choices include clear juices, sport drinks, broth and water. 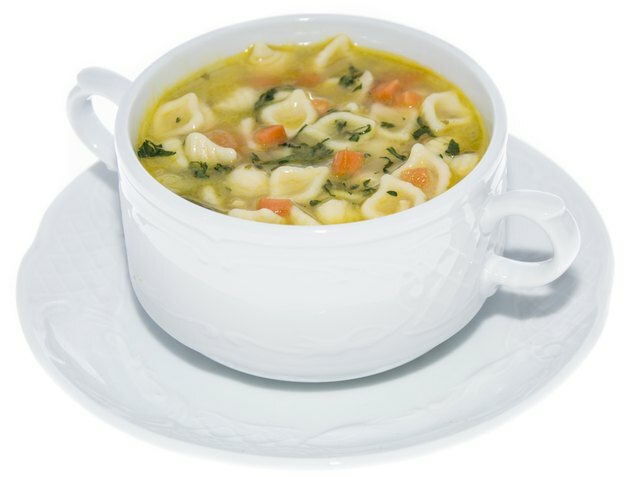 Soup, such as chicken noodle soup, makes a good choice when you're sick because the fluids and sodium help you stay hydrated, while the chicken provides protein. If you're feeling nauseous, try to nibble on crackers, toast or plain pasta or rice. One sign you're feeling better is the return of your appetite. However, after eating poorly for a few days, you may be ravenous, which may make it hard for you to control your eating to keep the weight off. While it might be difficult to prevent some of those pounds from returning, filling your diet with low-calorie, nutrient-rich foods during your recovery phase may help limit some of the weight gain and help reduce your risk of gaining more weight than you started with. While you can't fight off every cold or flu bug, making the right food choices may help keep your immune system healthy and strong, which may improve your body's fight against these bugs. Immune-boosting foods include fruits, vegetables and whole grains. Eating more of these filling, low-calorie foods may also make it easier for you to get to and maintain a healthy weight, which is also good for immune health. Can Oatmeal Help an Upset Stomach?